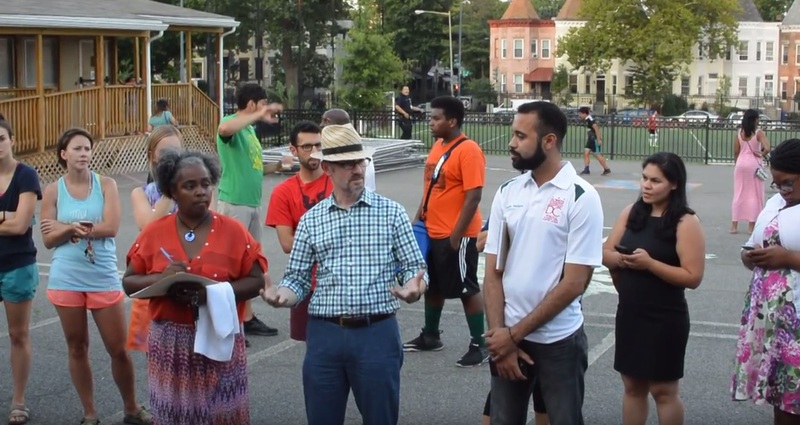 Tubman Field Permitting Creates Conflict with Community Use: Meeting Seeks Solutions | Park View, D.C. This entry was posted on July 20, 2017 at 9:04 am and is filed under Schools, Sports leisure and entertainment. You can subscribe via RSS 2.0 feed to this post's comments. I applaud Chairman Boese’s commitment to the community and his leadership on this issue. A compromise must be found that meets the needs of both the local community and the organized leagues. I don’t believe a permitting process is the problem- a mechanism for deconflicting use of space is essential to reducing tension between competing groups. That said, allowing one for-profit organization to reserve public space for three weeknights per week seems excessive and incompatible with the needs of the local community. A balanced compromise must be found. I support both groups being able to use the field. Thank you Chairman Boese for your attention to this matter! Finding a balance in usage is key, but the high fees are also an important factor. In addition to public and for-profit use, these and other fields are school grounds and are used by school groups for activities and fundraising events. Unfortunately, school groups don’t get a pass and we are required to pay fees, too. They are reduced, but still substantial compared with DPR fees. When you’re trying to raise money for kids and your margins are already pretty slim, that fee really takes a bite out of a small organizations budget and profit (if it’s a fundraiser). Thank you again for taking this on and your continued hard work for our community!